A proposal by a B.C. backbencher to allow Canadians to buy wine outside their province is being rushed through the House after a squabble over which party most supports local wineries. The bill could become law as early as this summer. A proposal by a B.C. backbencher to allow Canadians to buy wine outside their province is being rushed through the House after a squabble over which party most supports local wineries. B.C. Conservative MP Dan Albas, who represents Okanagan-Coquihalla, introduced Bill C-311 on Oct. 3, 2011, and had almost shepherded the bill all the way through the House of Commons. It's currently illegal, with a few exceptions, to carry alcohol over interprovincial boundaries. The bill was debated Tuesday but time ran out to hold a vote on it. It looked like it wouldn't return for a vote until late September or October, after which it has to go through several votes in the Senate before becoming law. Albas accused the NDP of stalling the bill by talking out the time for debate. The NDP say there was a "miscommunication" about parliamentary procedure and that they didn't intend to talk out the time allotted. NDP MP Malcolm Allen says the party has offered to let Albas trade his next private members' business slot for Olivia Chow's time on June 13 so they can get the bill passed. In the end, it was Liberal MP Scott Brison who stepped in to offer his June 6 slot for Albas. If the one-clause bill makes it through the Senate before the chamber rises at the end of June, it becomes law right away. That would be just in time for the summer tourism season at Canadian wineries. But the bill leaves the rule-making up to the provinces, so the laws will vary. In Ontario, for example, the LCBO clarified its rules in June, 2011, to allow consumers to bring limited amounts of alcohol into the province for personal consumption. There are 100 wineries within 45 minutes of his doorstep, Albas told CBC News, so the issue is important to his riding. The bill would add an exemption to a list of exclusions on the Importation of Intoxicating Liquors Act to allow people to import wine for personal use from one province to another, as long as it conforms with the laws of the province in which it ends up. The law was created during the prohibition era when alcohol consumption was banned. Gail Shea, national revenue minister, announced the government's support for the bill on Tuesday. She said the current law stifles the growth of Canada's wine industry. Dan Paszkowski, president of the Canadian Vintners Association, says he's "absolutely thrilled" that, despite Tuesday's stumble, all the federal parties have gotten together behind the bill. "I think there's recognition ... that we have a growing wine industry in this country and that Canadian consumers can be fined or go to jail for moving even the smallest amount of wine across provincial borders," Paszkowski said. The next step, he added, will be to ensure the provinces meet the spirit of the agreement and allow a reasonable amount of wine to be shipped across borders. Changing the law, Albas says, gets the federal government out of the way and allows for individual provinces to consult with their industry and consumers to set their own laws. Right now, it's hard for small wineries to sell to provincial liquor boards because they can't produce enough, but they're only able to sell within their own province. Albas pointed to a B.C. winery that does a lot of business with China because it can't sell to Canadians outside the province. "I think most people would say that that’s not okay," Albas said. "People have asked, quite rightly, why things are the way they are." The exemption only covers wine, not beer. A spokesman for the Brewers Association of Canada says he's concerned it will benefit one group over the rest of the alcohol beverage industry. "What we are likely to do is to see what other measures we can work with federal government [on] to find something of benefit to the beer industry," André Fortin said. The association is also worried that the provincial liquor boards "may or may not apply it and the risk that it's going to create possibly a two-tier system across Canada," he added. Allen, the NDP MP, says because liquor control falls under provincial control, federal politicians would have to talk to their counterparts before moving to repeal the whole prohibition, which now includes several exemptions. 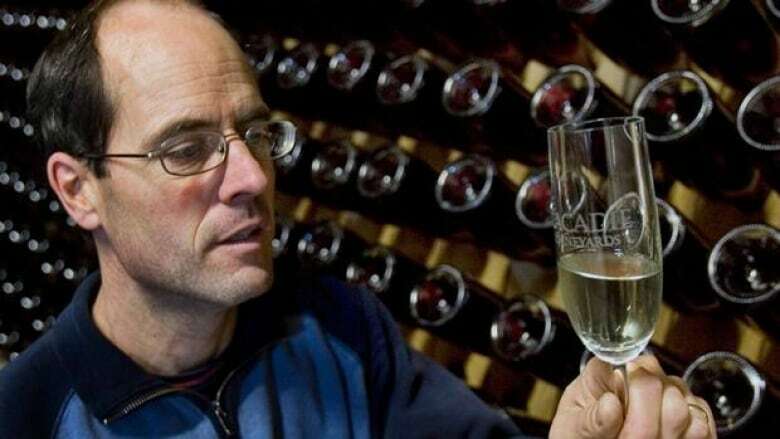 "We're in a sort of place where we can repeal this particular part of it and the wineries and vintners are all very supportive of that particular piece that allows them to do some selling and marketing across provincial boundaries and enhance their businesses," he said. "That's satisfactory for them. So that was the whole reason to make sure that we made this first step."